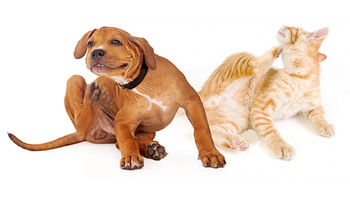 Pet Food Pantry is in NEED of Flea and Tick prevention medications to provide to our clients. Nobody likes itchy, biting bugs, and our pets are no different! Please donate Frontline, Pet Armor, or Advantix as they work the best. Donate securely with your credit card online. note: if you make a monetary donation, be sure to designate on your check or online donation form that it is for flea/tick prevention; we have created a special fund to help our clients’ pets stay pest-free this summer! Donate in person at one of more than 25 donation sites around OKC. See the list of locations here. Donate via Amazon Wish List! Simply browse the items we need, purchase and they’ll ship them directly to us! View our Wish List here. Help Pet Food Pantry clients’ pets stay cool and bug-free this spring and summer!